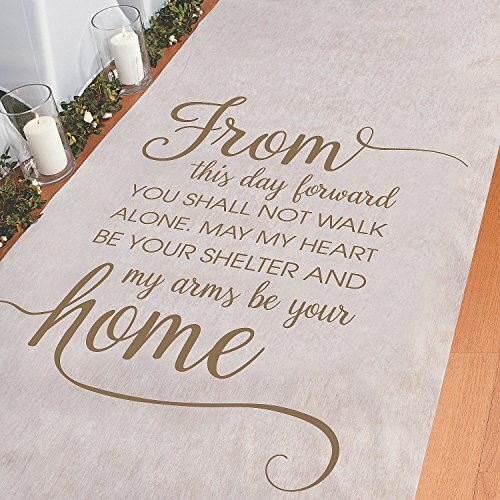 Use this inspiring aisle runner as part of your ceremony supplies as you walk down the aisle. With a beautiful quote you can start the journey to the rest of your lives together. Continue shopping more chic ceremony supplies and wedding supplies youll love throughout this site! Includes nylon string roller for easy aisle lining. Material is Polyester. Measuring 3 ft. x 100 ft. Wedding Aisle Runner White Floral Design 36"x 50ft.